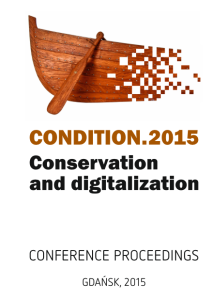 It took us while, but finally we have it – CONDITION.2015 proceedings are available online! 31 articles written by 62 authors on 172 pages concerning topics of conservation, especially objects of organic origin (wood, rope, leather) and objects made of different metals, as well as digitization including use of digital technology, in documentation, research and dissemination. We would like to thank everyone who contributed to the release of this publication, especially the authors and the publishing house. Very special thanks go to Katarzyna for her commitment and persistence which made it all happen. 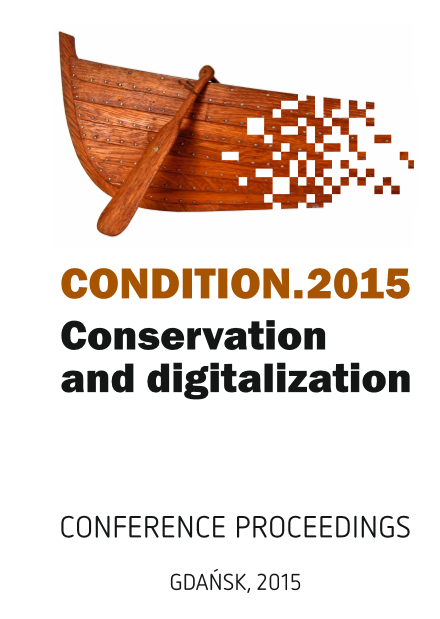 Download Condition.2015_proceedings (in English only). Condition.2015 – conservation programme announced!